Passion Of The Friel | WOTM Watchdog! Todd Friel loves The Passion of The Christ. He does. In going through the WOTM radio show archives, I have come across many airings where he exalts the movie and Mel Gibson for making it. To Todd it is an accurate and sobering account of the sacrifice that his Lord and Savior made in becoming the atonement for his sins. Believe it or not, I have no problem at all with his admiration for the movie; it was a well-produced bit of drama (though a bit gory for my taste). My only request is that Todd be honest with us, his listeners, as many look up to him as a shining example or Christian morality. How then does it reflect on him and his God to be blatantly hypocritical? Why do I say this? Because Mr. Friel does not endorse and even decries the viewership of R-Rated films. As a matter of fact, Todd owns a bit of hardware (the name escapes me) for his home entertainment system that removes all foul language from whatever programming he may currently be viewing. Does this same device censor or distort visual representations of violence? If it did, Todd and his family would be left with a ten or fifteen minute snippet that would contain the opening credits, Jesus in the Garden of Gethsemane (until the guard's ear is sliced off, at least) and some of the more mundane bits of dialogue between Jesus and his disciples, among others. 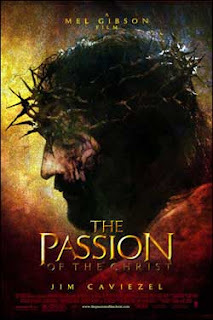 The majority of the movie is spent graphically portraying the scourging, beating and crucifixion of Jesus as is described just as vividly in the (contradictory) Gospel accounts in the bible. So much so, in fact, that it is enough to engender a feeling of nausea in the most jaded of moviegoers. How then can Mr. Friel blame the state of our nation's moral decline on violent media when he openly endorses perhaps one of the most gruesome feature films of all time? If left in the wrong hands, this gore fest could further pervert a mind already demented by grotesque fantasy and could be the breaking point that might affect another school shooting or federal building bombing. I find it troubling that Mr. Friel dissuades the viewership of secular media for mature audiences but freely advocates The Passion as wholesome family fare. The story depicted in the movie comes from an equally horrifying book which, if rated,might find itself on the top rack in most retail outlets. Doesn't this attest to the fact that theists really do employ situational ethics? "Don't watch Apocalypse Now because it's R-Rated; instead, bless your soul and glorify God as you watch His Son's blood being wrung out like a sopping wet dishtowel." Just another testament to my reasoning for not following a god that lusts for his own son's sacrificial blood and for not joining the ranks of a congregation that joyously worships such a monster.